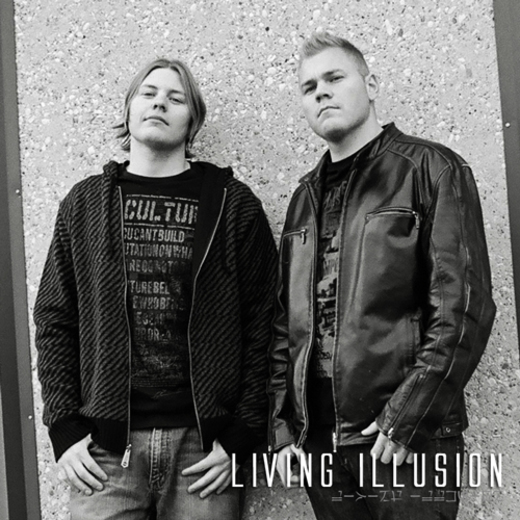 Living Illusion's debut album self titled “Living Illusion” established them as an innovative force that uncovered a sound which showcased their melodic and progressive hard rock style. With the release of their second album “Suffering” it has only further reinforced their distinctive sound and demonstrated their passion, evolution and growth as musicians and songwriters within the rock genre. Founding members, lead guitarist Shane Lamotte, and vocalist / guitarist Jason Lamotte, joined together in 2002 and spent the next years perfecting their first album. The record was a combination of songs written over a 5 year span and was a journey from aggression to self-realization. The brothers were accompanied on their debut album by studio musicians (Andrew Degroot and Lyle Molzan) and have since formed a solid touring and recording group. After the release of the first album the band played numerous shows and festivals in western Canada (many of which consisted of opening for signed acts) and worked on new material for their next album. All while their single “Whispers” from the debut album made it to the Top Ten of various University & College charts and received airplay in Canada, the UK and the United States. With the band having written copious amounts of new material they chose the best of the best with their producer Kevin Hoskin and headed into Beta Sound Recording Studio to record the new album “Suffering”. A year and a half later it’s been released and already their first single “Let’s Start Over” has received some mainstream radio airplay. Although the band may not be picked up by a major label (although who is now a days) they have been marketing themselves effectively. They play as many gigs as they can and still manage to hold down full time jobs. Music is a passion for all the members and whether they get fame and fortune doesn’t matter, they just want to make music. The bands professionalism, musical talents and passionate performances make way for a captivating live experience, leaving their audience feeling thoroughly rocked and begging for more. Living Illusion has headlined to crowds of over 5000 and has shared the stage with many notable artists including: Econoline Crush, The Art of Dying, Tin Foil Phoenix, Cold Driven, Portal, and ASHES dIVIDE.